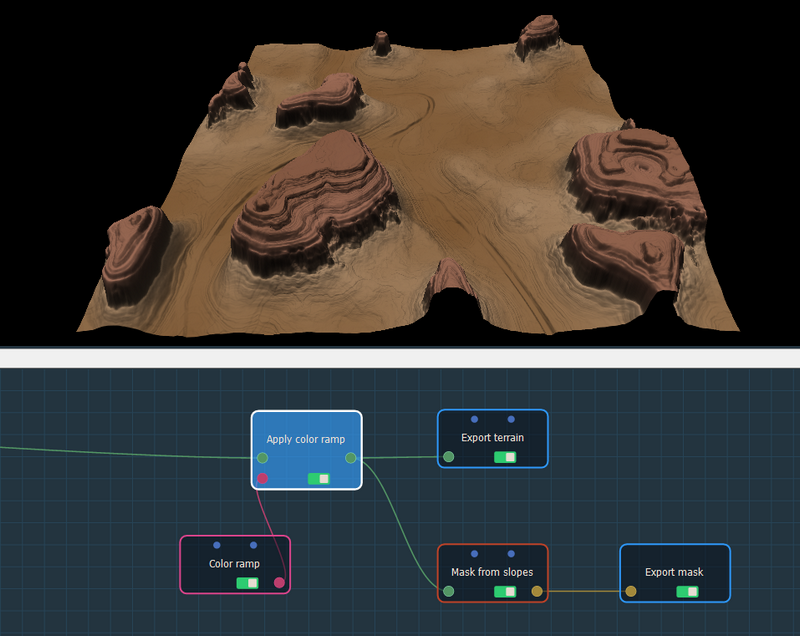 This sample demonstrates how to create the sandstone buttes found in Monument Valley. The Painted mask node is used to trace the location of a road on the terrain. 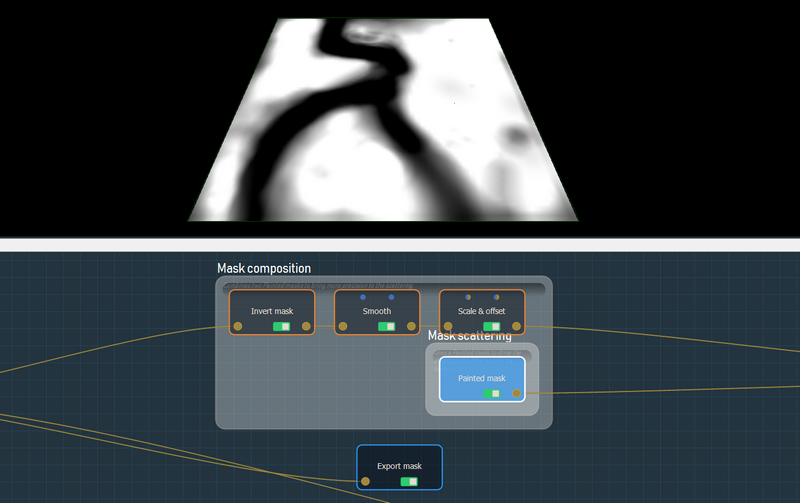 You can also export the mask to use later or in another project. The mask composition combines two Painted masks to bring more precision to the scattering. The Mask scattering group uses a Painted mask to drive the distribution of the rock on the terrain. 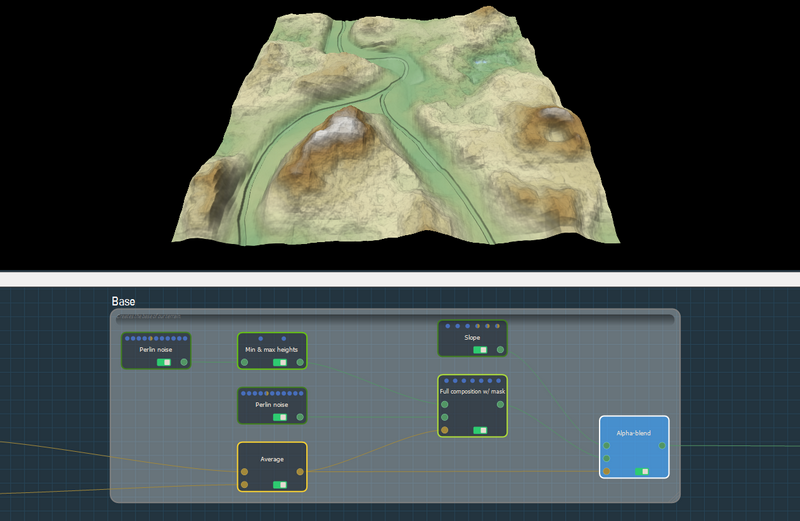 The base of the terrain is formed by terrain generators, composers, and transformers, and a mask composition node. 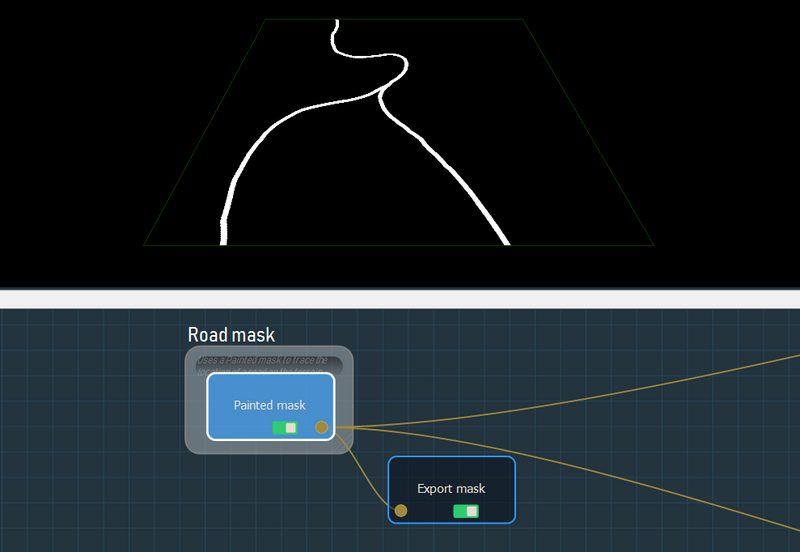 The Painted mask drawn at the start of the project is linked to generate a flat terrain base where the road passes. 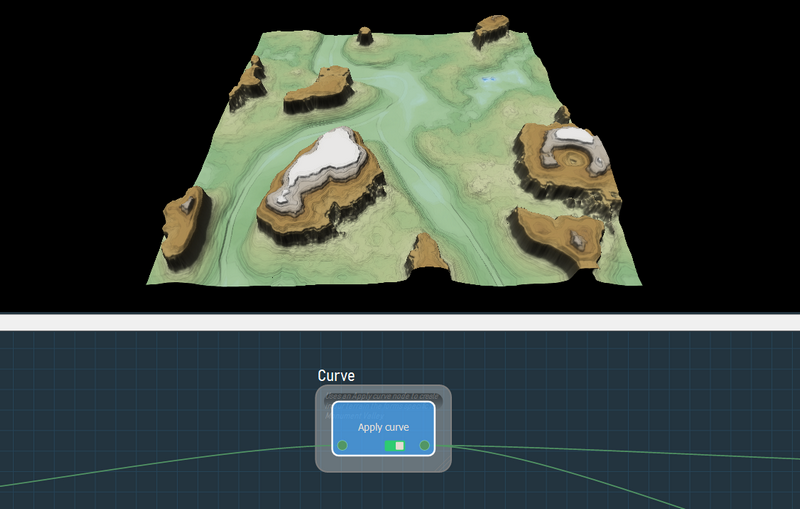 An Apply curve node creates the buttes in our terrain, specific to Monument Valley. The clamp mode of the Min & max heights node creates a slice at half the height of the rock. 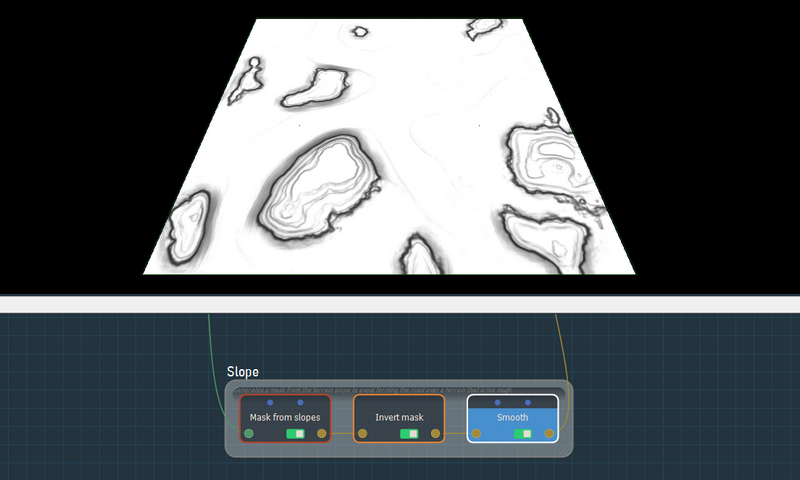 This allows smoothing of the lower part to simulate an erosion effect on the embankment before recomposing it with the upper part. 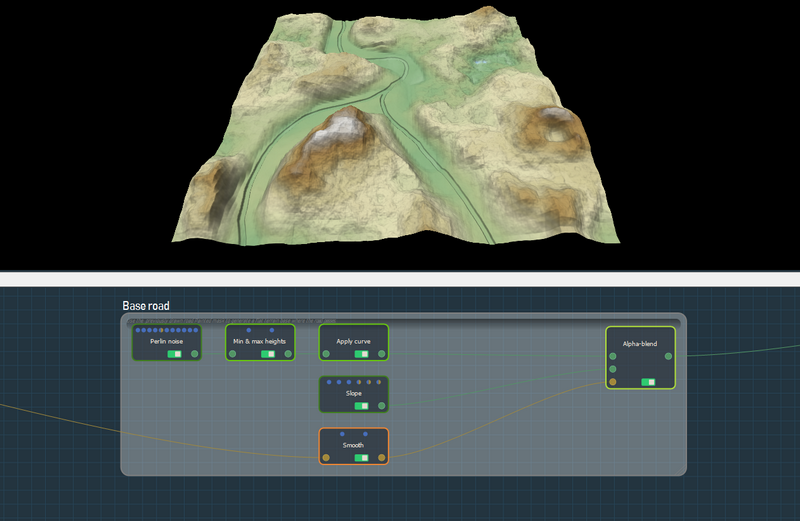 This group generates a mask from the terrain slope to avoid forming the road over a terrain that is too rough. 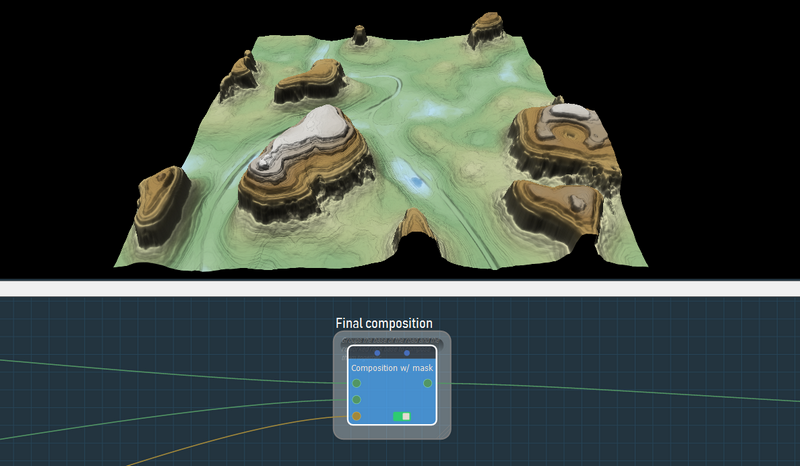 The final composition composes the base of the road and the reworked rock base. 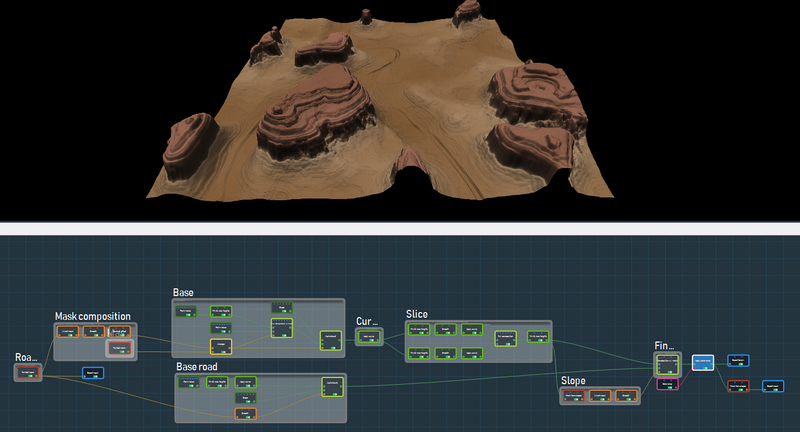 A color ramp is then applied to the final composition to create the realistic color of the buttes. 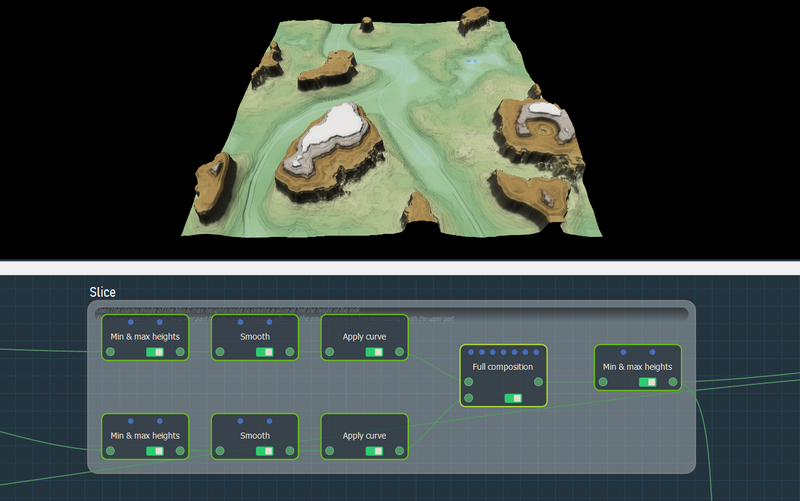 You can also export the terrain and the mask from the slopes of the terrain.